Dark circles under eyes usually aren't a sign of exhaustion or serious illness, though they can make you feel old, unhealthy and tired. If you get plenty of sleep and still have dark circles under your eyes, that's not unusual. Fatigue isn't the only reason for under-eye circles. What appear to be under-eye circles are sometimes just shadows cast by puffy eyelids or hollows under your eyes that develop as a normal part of aging. If you want a more lasting solution than concealers and over-the-counter creams can provide, see your doctor for advice. Depending on what's causing the circles under your eyes, your doctor may recommend prescription creams or a combination of treatments to erase or reduce discoloration. 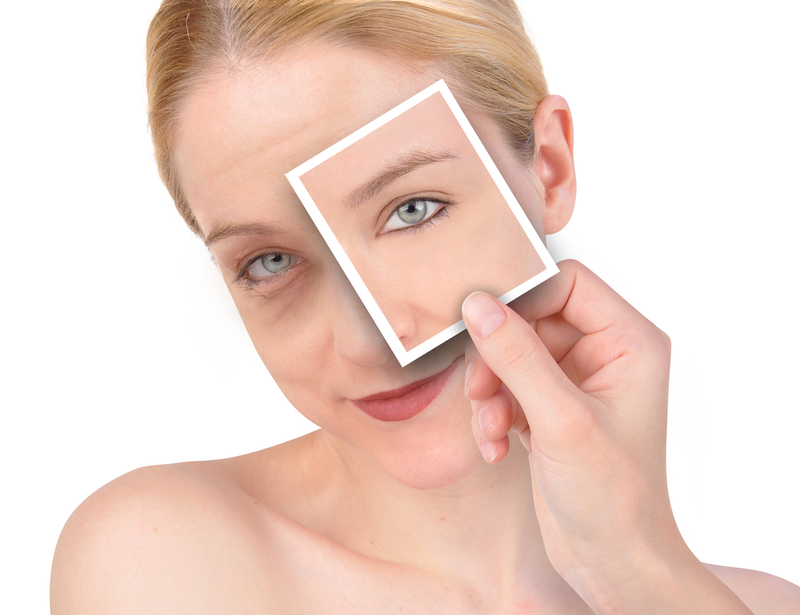 Laser therapy or chemical peels can be helpful in some cases. Hollows that cause shadows can be smoothed with injectable fillers or Sculptra (collagen stimulator with poly-L-lactic acid), and surgery can eliminate puffy lids. Try a cold compress - Use two chilled teaspoons or a bag of frozen peas wrapped in a soft cloth to temporarily reduce dilated and discolored under-eye blood vessels. Or try a cooled, used teabag. Extra pillows - Elevate your head with two or more pillows to prevent puffiness that develops when fluid pools in your lower eyelids. Extra sleep - Although short nights don't usually cause under-eye circles, a lack of sleep makes you paler and more hollow-eyed, so shadows and circles you already have are more obvious. Dark glasses and sunscreen - Although a tan might hide dark circles in the short term, in the long run, the extra pigment it produces can make circles worse. Saline washes or sprays - Rinsing your sinuses with a saltwater solution (mix 1/4 teaspoon sea salt with 2 cups warm water) or over-the-counter saline spray can help relieve nasal congestion. Skincare Products - Hundreds of skin creams that claim to reduce or prevent under-eye circles crowd department store and drugstore shelves. Camouflage - The right concealer can do just that — hide dark circles. If the circles under your eyes are bluish, use a peach-colored concealer, not one that's white or gray. And avoid scented products and those containing salicylic or glycolic acid, which can irritate delicate eye tissue, making redness and swelling worse.